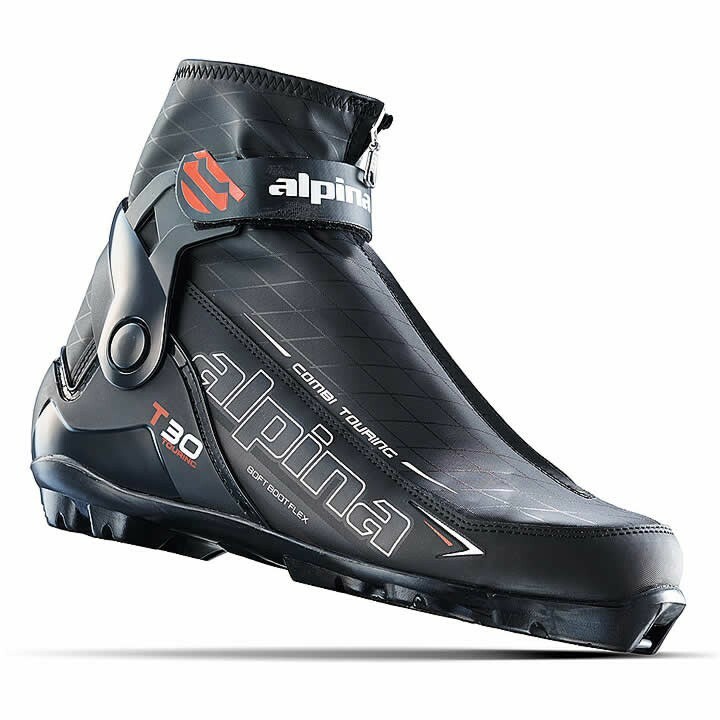 The Alpina T30 Nordic Boot offers support and all day comfort for recreational touring adventures. Alpina's TPU Combi cuff offers additional lateral support and stability while Thinsulate insulation and elastic inserts are sure to keep you warm and dry no matter how long you're on the trail. NNN T3: TPU-made sole with good power transmission, softer, more comfortable flex and good walkability. TPU Combi: The combi boot is designed for the classic technique. It has a softer flex sole, and is equipped with a cuff the provides less experienced skiers with more lateral support and stability to the ankle, and can be adjusted to the desired level of comfort.